Over the last ten years, at Ultrasound Dimensions, the medical center I helped co-found, we’ve been using Google Adwords to get in front of patients that need our help and who are searching for the healthcare services we have to offer. 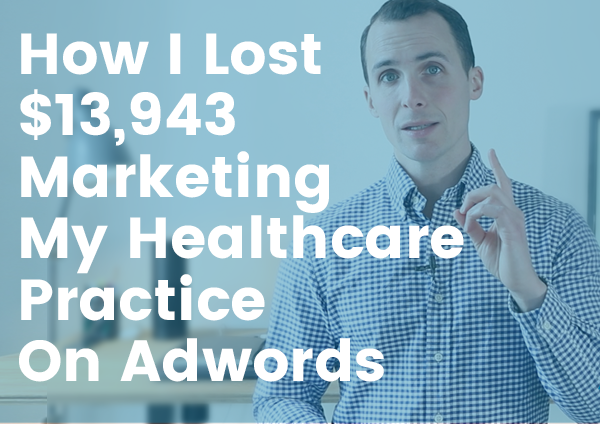 It’s worked really well for us but we’ve made some big mistakes over the years, and this one caused us to burn over $10,000 on a single keyword in Adwords that didn’t bring us even one new client. Well, it was a simple mistake which was caused by us just not using conversion tracking for our marketing. Yep, that is it… we just weren’t tracking our conversions. Basically, it tells you exactly what is working and what isn’t. Without it, you are marketing in the dark. It’s a powerful little tool and once I started tracking what keywords, ads, and marketing channels were converting into new clients… it was a game changer, and I was able to cut out a ton of wasted marketing spend and our ROI went way up. So don’t spend another dollar marketing your practice until you are tracking conversions. If you need help with your healthcare marketing check out Practicecloud.com where we help healthcare practitioners grow their practice by attracting new referrals and enhancing your reputation online.